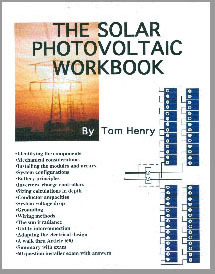 Code Electrical Classes Inc. is proud to announce it now has a complete 14 DVD Program on how to install the PV Solar System correctly to the manufacturer's specifications to maintain the customers warranty. Not only does this program include 14 DVDs but also the workbook that is given to students in the classes we teach containing 322 photos of the PowerPoint slides we use in class. The exam is designed to be completed with the aid of the 2008 NEC. Order your PV Exam today! Item #705 - PV Online Exam - 60 open book questions, 4 Hour Time Limit.